Vintage purveyors Holala! 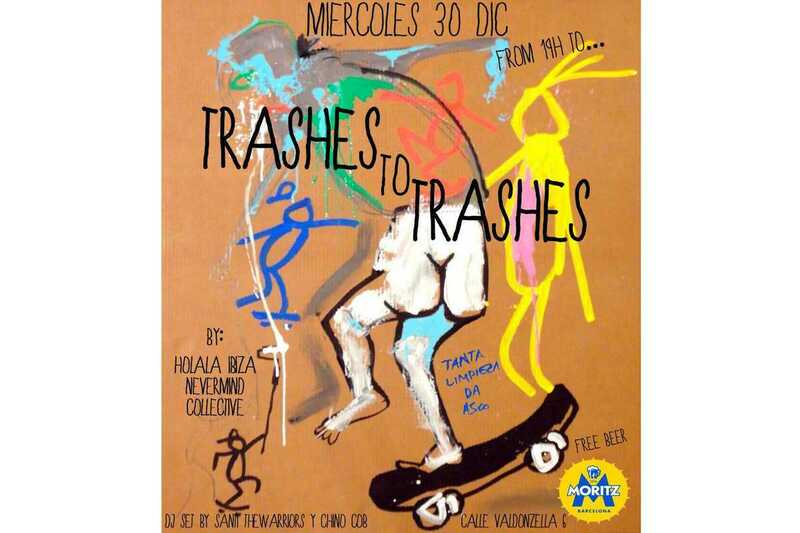 team up with skate shop Nevermind and artist Francisco de Pájaro aka Art is Trash to celebrate New Year’s Even one day early. Probably a smart move. The party starts at Holala!’s flagship Plaça Castilla shop at 7pm and continues at Nevermind on C/ Tallers from 11pm. There’ll be a raffle of two skateboards customized by Pájaro, DJ sets by Santi Araña (The Warriors) and Chino Cob, and free Moritz beer.